Chicago, Illinois is home to over 2,700,000 individuals. As a metropolitan city, there is a great demand for vehicles to use in traveling to and from places of employment. However, with the average Chicago household earning an annual income of $47,000, budgets are limited here. Over 20 percent of Chicagoans live under the poverty level, indicating a need for additional resources. Instead of continuing to struggle to get to where they need to be, Chicago residents can speak with our experts at Auto Credit Express to find quick and easy approval for auto loans in the city and surrounding suburbs. According to statistics in the United States, over 61 million individuals have poor credit scores. It is understandable that many Americans are struggling to make ends meet due to the recession and limited job opportunities. If you have bad credit, you should know that you're not alone. Auto Credit Express can make it possible for you to get bad credit auto loans in Chicago, Illinois in Chicago, Illinois. The Chicago metropolitan area is comprised of eight counties and over 8 million people, so finding a dealer can take months for the average consumer. We can connect you with dealers located in Cook, DuPage, Kane, Kendall, Lake, McHenry, Will and Grundy Counties to make your search quick and easy. Bad credit loans are available to those who have tarnished credit ratings. This type of loan is also available for self-employed individuals or those who have been previously refused a loan for any reason. Someone may be eligible to qualify for an auto loan with bad credit if he or she can verify a stable income, show a valid ID and provide proof of long-term residency. It may also be helpful to have a co-signer or be able to eliminate already-existing debt to lower the debt-to-income ratio. In 2013, the average household carried a debt load of $70,000. With this intimidating amount of debt, it's understandable that over 59,000 Illinois residents file for bankruptcy every year. If you have filed for bankruptcy, you should not feel disqualified from buying a new car. Even when bankruptcy has destroyed your credit, it is still possible to buy a new or used car with help from Auto Credit Express. 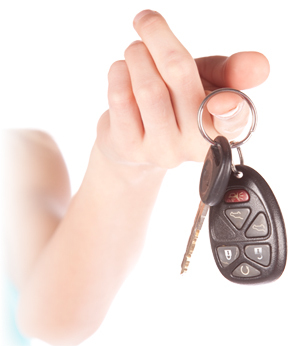 A bankruptcy car loan is provided to individuals who have filed for bankruptcy in the past. To qualify for this type of loan, one may be required to have a co-signer, show a proof of income or provide collateral. 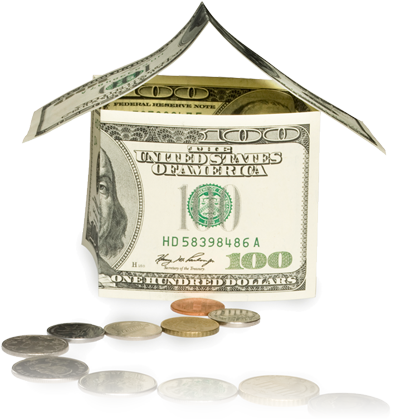 Collateral items are personal belongings that are used as security on the new loan. Our experts can help you consider a variety of options in your case. We have helped secure internet loans in the past for customers who have had a discharged or open bankruptcy listed on their credit report. Thousands of people have been able to secure a car loan with our help, despite the fact that they have filed for bankruptcy. Average Miles: 1731 744 are for sale right now! Average Miles: 6758 496 are for sale right now! Average Miles: 510 376 are for sale right now! Average Miles: 1397 370 are for sale right now! Average Miles: 247 143 are for sale right now! Average Miles: 29875 141 are for sale right now! Average Miles: 32027 138 are for sale right now! Average Miles: 36369 136 are for sale right now! Average Miles: 31884 119 are for sale right now! Average Miles: 26480 112 are for sale right now! The experts at Auto Credit Express can also help you find Buy Here Pay Here (BHPH) car dealers in Chicago. A BHPH car dealer allows you to secure a loan and make payments through a dealership. The idea is that you physically go to the dealership every week or on a bi-weekly basis to make your payment. When you visit a Chicago Buy Here Pay Here car lot, the dealer will discuss your financial situation with you. After a conversation that may involve an analysis of your income and current recurring debt, the dealer will then show you available cars on the lot. These cars will be ones that fit within your budget and financial situation. When you need transportation, Auto Credit Express is here to help you locate a Buy Here Pay Here car dealer that will work for you. If you have been turned down by other financial institutions for auto loans, then this may be your best bet for securing financing. The trusted advisors at Auto Credit Express may also recommend that you try a rent-to-own car option. We can help you find dealerships that offer rent-to-own programs in Chicago. At these dealerships, as you make rental payments on the vehicle, some of this money will go toward the ultimate purchase price of the car. At the end of the rental term, you can elect to purchase the car and have your funds contributed toward the purchase price, however, this process is not to be confused with leasing a car. When you decide to lease a new car, the payments you make each month are not contributed to the purchase price of the vehicle. Before you decide to walk onto a rent-to-own car lot, there are a few things you should know. First, your credit score and report don't matter. These lenders want to know that you can make your payments and that you earn enough to do so. Second, if you do make a deal on a vehicle, the dealer will always know exactly where you are because the cars are typically enabled with GPS tracking devices used to locate the cars if they need to be repossessed. If you have bad credit and you're in dire need of a car, truck, or SUV, you should consider the benefits offered at an RTO lot. You get the pleasure of driving a car for a year or two during the "renting phase" before you actually purchase it. This gives you ample time to decide that the car is right for you, and if it's not, you can rent a different one! One of the most common ways for those with bad credit to secure auto loans is by using in-house financing from a dealership in Chicago. We can help you choose a dealership that will work best for you. The loan that you obtain will originate at the dealership, and you will make monthly payments to the dealer. This option is useful to people who have experienced bankruptcy, a foreclosure, loan delinquencies or other adverse credit events. In-house financing differs from traditional means of securing loans from dealerships. The traditional route entails working with an auto finance manager at a dealership to receive a loan from a third party lender. The auto finance manager maintains a list of lenders, and he or she will call each lender to find out whether or not you qualify for a car loan. If you have bad credit, then this option can be difficult to pursue. Auto finance managers now have strict guidelines about providing loans to individuals who have bad credit, but the mangers at dealerships that offer in-house financing have more lenient guidelines and are willing to help you secure financing even if you have a poor credit score. As one of the top three commuter cities, Chicago is made up of a workforce that includes over 400,000 commuters. To get through the Chicago Loop, employees traveling from other cities need to have access to personal vehicles. Employed individuals can face difficulty in qualifying for a new auto loan if they have histories of bad credit. However, at Auto Credit Express, we can help you secure a loan through a Tote the Note dealer. A Tote the Note dealer maintains ownership of the loan note, and you are responsible for making payments directly to the dealer. Tote the Note dealers also provide financing for individuals with limited credit histories or no history. Tote the Note car dealerships are another type of entity that our experts work with on a regular basis. We understand how difficult it can be to find the right type of auto loan when you have bad credit. And if all else has failed, we can put you in touch with Tote the Note car dealers who will finance essentially anyone who walks through the door. With this option, you will not have to worry about dealers performing a credit check and seeing your credit score. Allow our experts to make things easier and help you find a legitimate dealer to provide you with the vehicle you need. We have been able to help thousands of people secure reliable cars from Chicago dealers and whether you have good credit, bad credit, or no credit, we will do our best to get you approved for the financing you need. All you have to do is take a few minutes to fill out our online loan request form and you could find yourself in a car today!